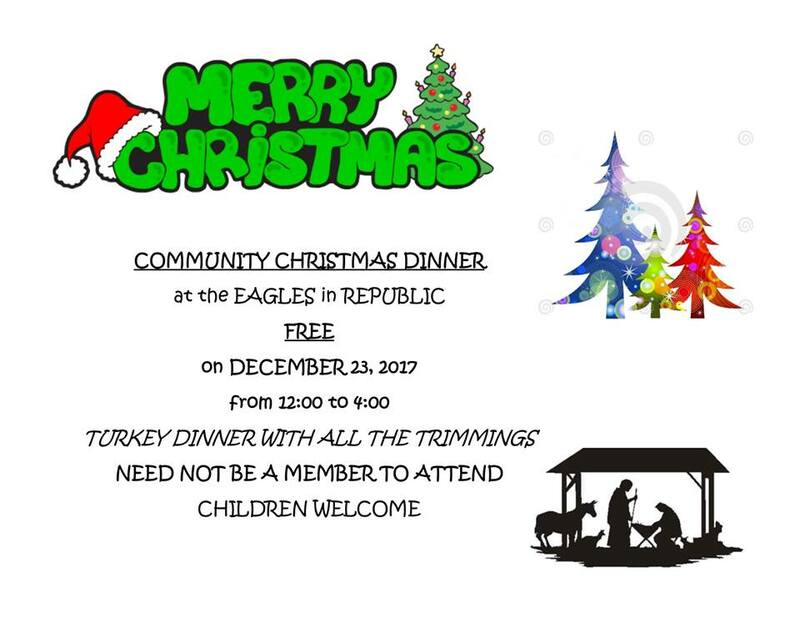 Join your community for a free Christmas dinner at the Eagles in Republic on December 23, 2017 from noon to 4 p.m. Dinner will be turkey with all the trimmings! You need not be a member to attend. Children are welcome.